Dr. Firuz Kazemzadeh (right) at a USCIRF hearing on Sudan in 2000. WASHINGTON, DC – The U.S. Commission on International Religious Freedom (USCIRF) was saddened to learn that on May 17 Dr. Firuz Kazemzadeh died. He was a professor emeritus of history at Yale, a distinguished member of the American Baha’i community, and a tireless champion of international religious freedom. 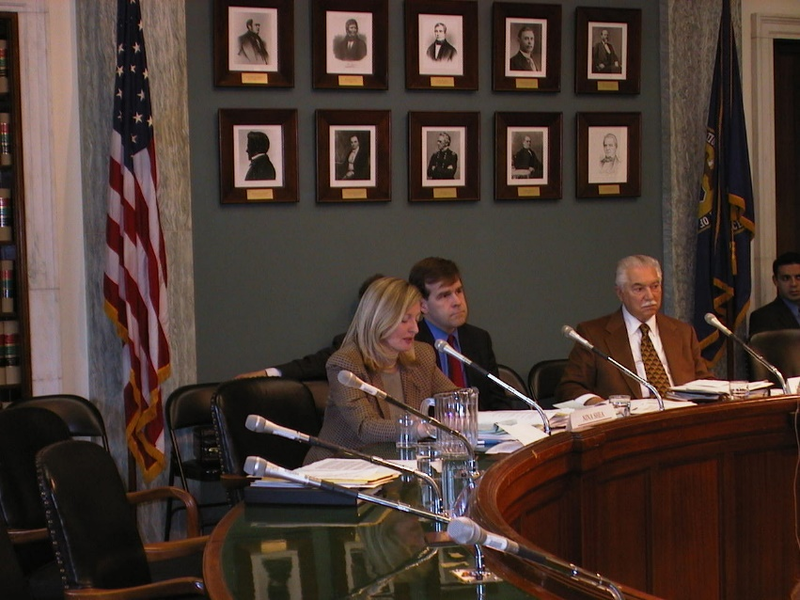 In the accompanying picture, Dr. Kazemzadeh is shown (right) at a USCIRF hearing on Sudan in 2000. Dr. Kazemzadeh was one of the first commissioners appointed to the U.S. Commission on International Religious Freedom (USCIRF), having been chosen by then President Bill Clinton in May 1999. The U.S. Congress established the Commission in the International Religious Freedom Act of 1998 (IRFA). Dr. Kazemzadeh was a leader of the American Baha’i community serving on the National Spiritual Assembly of the Baha’is of the United States (the elected Baha’i national governing council) for nearly four decades. In addition, he was a scholar and professor emeritus at Yale University.